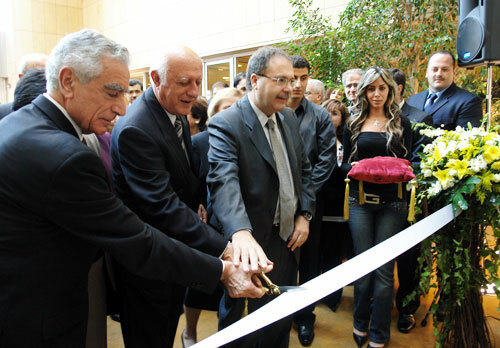 The Riyad Nassar Library (Beirut campus) is named after Riyad Nassar, president of LAU from 1982 to 2004, and started functioning on September 19, 2005. 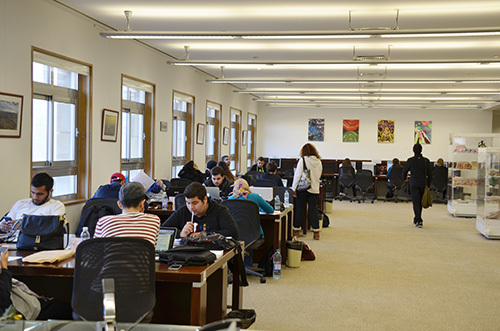 The university’s first library was established in 1934, when the institution — then known as the American Junior College for Women — moved permanently to its current campus in Ras Beirut. As part of many efforts to provide reliable services to the college community, the library collection acquired thousands of materials. As the college grew, the library’s location on Sage Hall’s third floor quickly turned inadequate. The need for more room was met in the 1960s through the construction of an entire upper story dedicated to this purpose in Irwin Hall. At the time the library space was named in honor of Dr. William Stoltzfus, president of the college from 1937 to 1958. 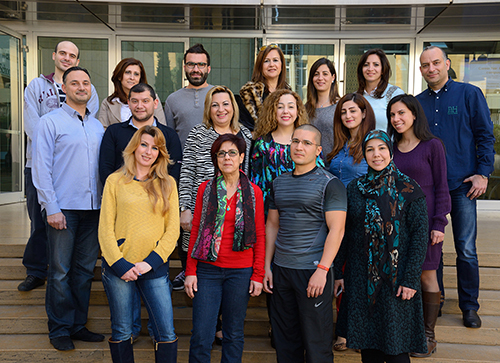 In the 1990s, the demands of LAU’s growing academic programs called for further expansion. In 1997, the library moved to more spacious premises in the Learning Resources Center building. 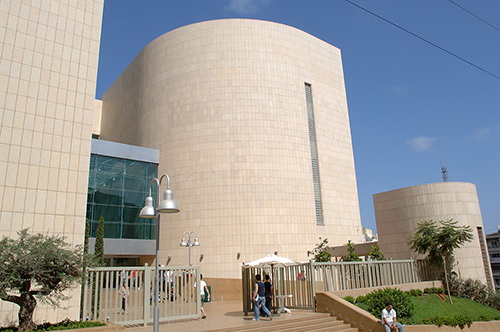 Finally, the library moved once more in the summer of 2005 to its final destination, the Riyad Nassar Library building. Women’s collection: This collection parallels the Institute for Women’s Studies in the Arab World. It includes books, pamphlets, documents and flyers on women’s subjects in both English and Arabic. Children’s collection: This collection is used by Creative Dramatics, Children’s Literature, and other courses offered within the education major. Audio/Visual collection: This collection covers areas related to courses in business, pharmacy, education, sciences, history, politics, operas, theater, art, classical music and cinema studies. Closed circulation collection: This collection includes out-of-print, aged and rare books, as well as certain worn-out books on Lebanon that are out of print. Islamic art and architecture collection: This collection is meant to enrich courses on design in general and on Islamic art and culture in particular. It covers the historical, theoretical, philosophical and practical aspects of this heritage. Practice teaching: This collection is mainly used by students majoring in education. Jawdat Haidar Collection: This collection contains materials pertaining to Jawdat Haidar, a Lebanese centenarian poet who wrote poetry in English and Arabic. All of the library departments are dedicated not only to providing access to information, but also to assisting information seekers in developing successful strategies for finding and evaluating information for a full range of needs. Orientation, individual instruction, training sessions and research assistance are available to library users throughout the year.